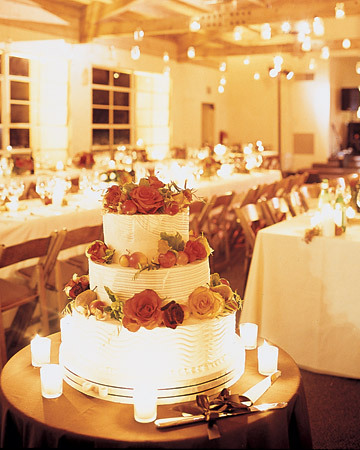 Wedding Ideas Blog. Powered by Blogger. 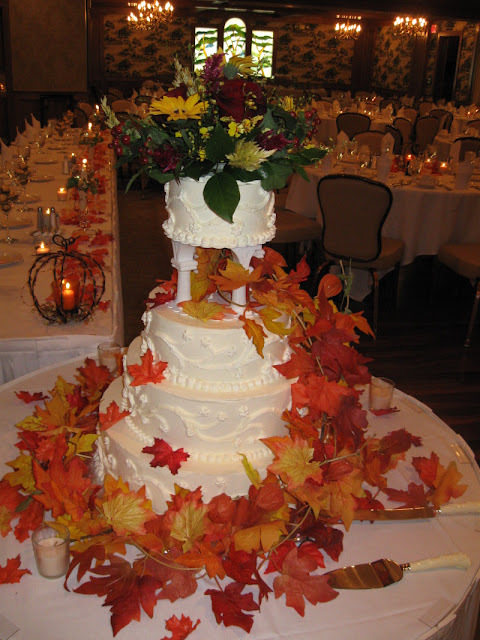 Considering for going through a fall wedding and want to make sure that you are going to invite your wedding guests on one of the wedding occasion that includes a wonderful and up to the season wedding cake? 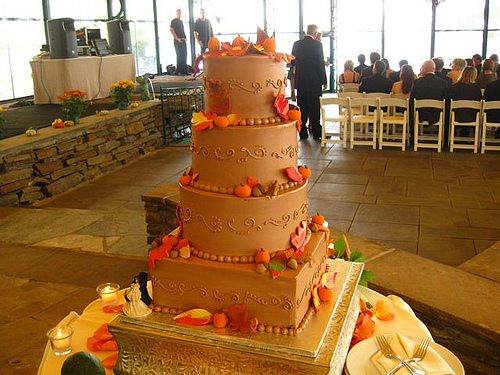 Then you may go through the wedding cake ideas that can be specially applied as fall wedding ideas and includes variety that is full of the flavors and additions of the fall season and the preparation will be your FALL WEDDING CAKE. As long as the color matching with the fall wedding are concerned, the most opt able is to go with the yellow, red, brown and orange with some of the deviations of the natural ones. 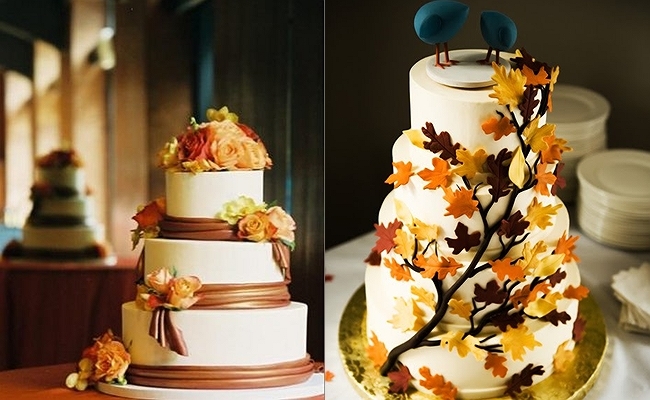 For the brown color choice you may go with the chocolate flavor or chocolate cake. 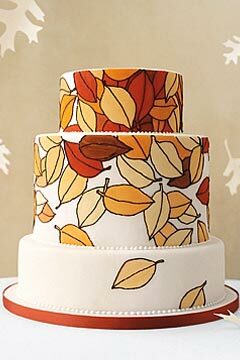 Along with this one of the more choice for the ivory color is to have the ivory cake that has to be cover up with the maples leaves of different colors related to the fall wedding as discussed above. The wedding flowers like the sugar dahlias can be added to match with the fall wedding theme for the stuffing of the wedding cake or you may ask your wedding cake maker to make a pattern of the sunflower with any of the dyes which are edible. 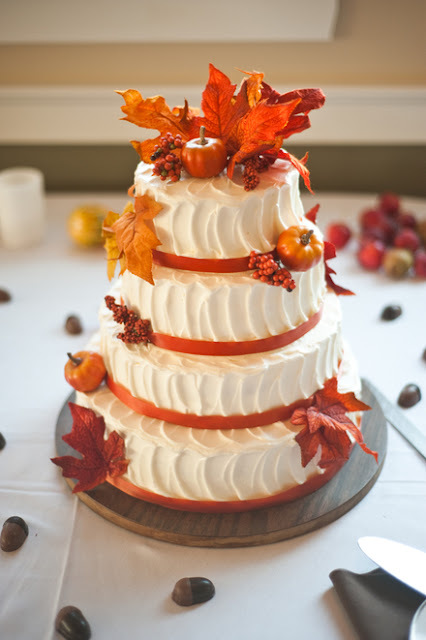 Along with all the other things you may go for the additions of the leaves of maple that can not be neglected for a season like the fall and gum pastes, sugars and finally the chocolate can be added. Feel free to find us at Facebook, Twitter, Pinterest and Google+. 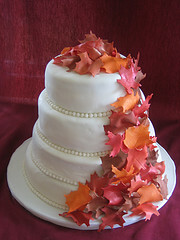 'Church Wedding Decoration' Add blessedness to your wedding..